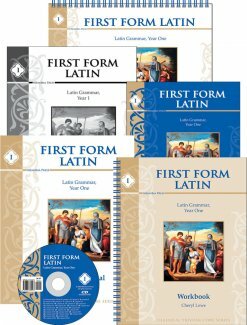 The First Form Latin Student Workbook contains the exercises for the Student to complete in our First Form Latin program. 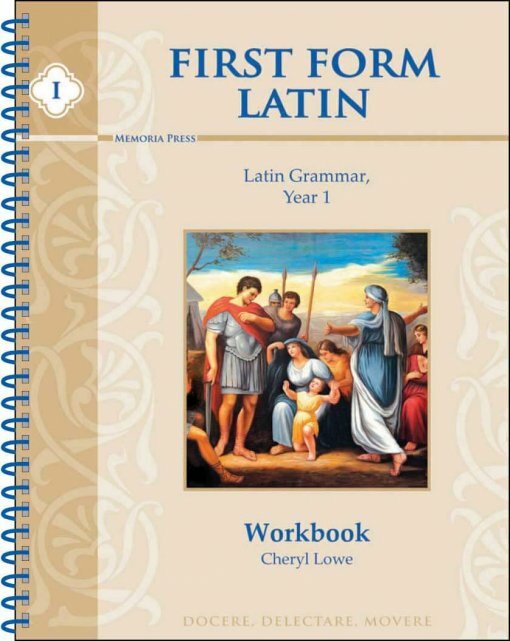 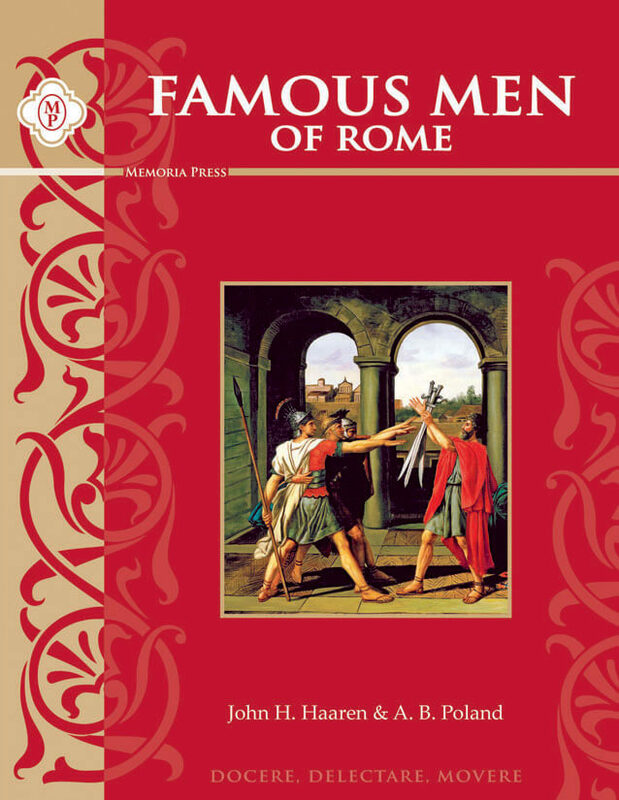 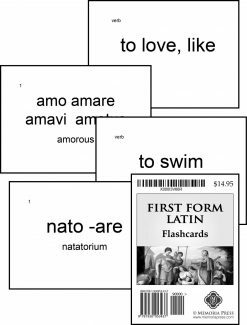 The First Form Latin Student Workbook has 4-6 pages of exercises per lesson. 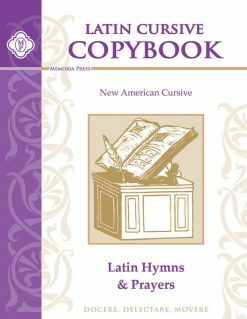 These exercises teach concepts through practice and mastery learning, and are presented in a spiral-bound book with an attractive, 2-color format. 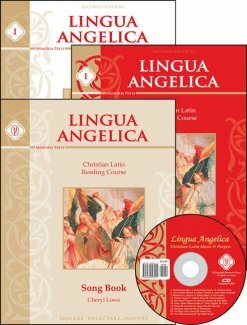 This Workbook also includes a grammar catechism intended for daily rapid-fire review. 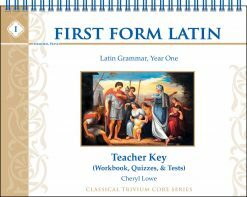 Written by Cheryl Lowe (author of the best-selling Latina Christiana I), First Form and its sister Latin products have been used by more than 100,000 students across the world to learn Latin! 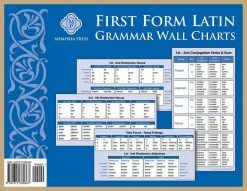 First Form’s grammar-first approach focuses on grammar forms and vocabulary because these are the skills suitable for the grammar stage student. 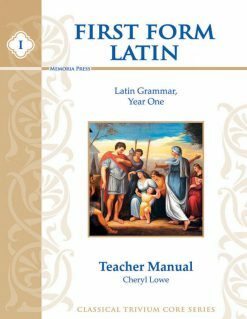 All beginners—regardless of age—are in the grammar stage of learning. 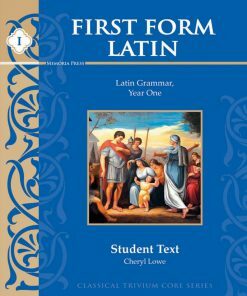 Syntax (how to use the grammar) and translation are logic and rhetoric stage skills, respectively, and quickly overwhelm the student unless introduced at a slow, gentle pace and taught for mastery. 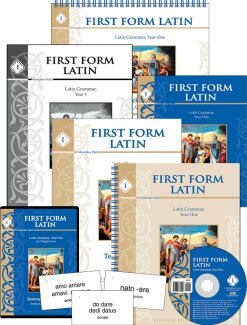 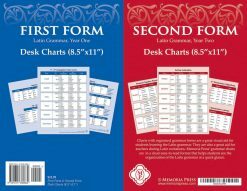 First Form is the ideal text for all beginners, grades 5 & up, or is a great follow-up to Latina Christiana at any age. 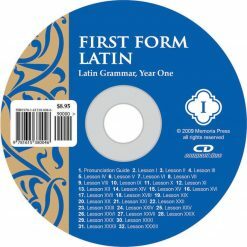 Now every school and homeschool can have a truly successful Latin program that creates Latin scholars instead of Latin drop-outs. 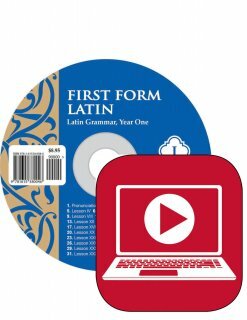 Based on twenty years of teaching experience, this revolutionary “grammar-first” series will be your guide as you and your students successfully climb the mountain of Latin Grammar all the way to the top! 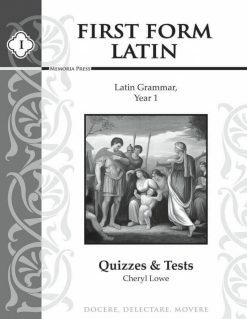 The uniqueness of the Forms Series lies in two features: (1) Commitment to the trivium model of teaching grammar systematically in order to facilitate retention and understanding, rather than topically, to facilitate translation; and (2) Extensive workbook exercises to ensure skills mastery and rapid recognition of inflected forms.